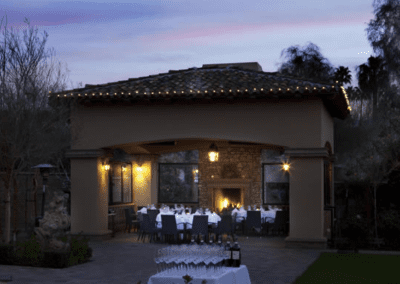 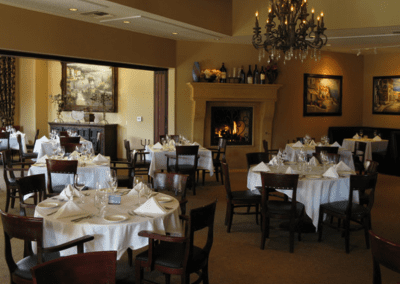 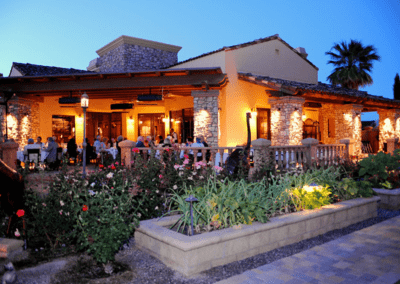 La Spiga Ristorante Italiano in Palm Desert, CA has been recognized as a DiRoNA Awarded restaurant since 2017! La Spiga is a magnificent Tuscan-style villa surrounded by rose gardens, herb beds, and fruit trees. 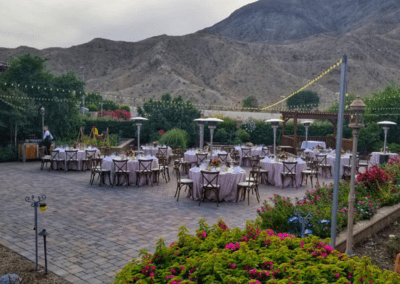 Three gazeboes provide additional dining, and the patio wraps around the entire building offering a spectacular view of the mountains. 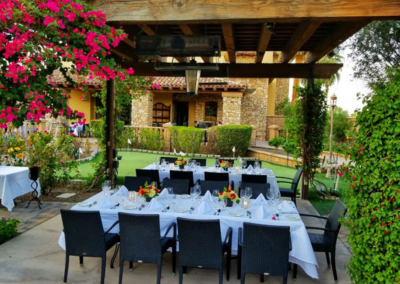 In this exquisite setting, owners Vince and Connie Cultraro provide splendid cuisine to the best clientele in the whole valley. 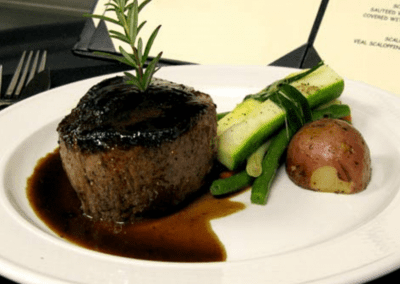 Vince is a multiple award-winning Chaine des Rotisseur chef who has cooked for prime ministers and other heads of state, ambassadors, movie and sports stars, and international business leaders. 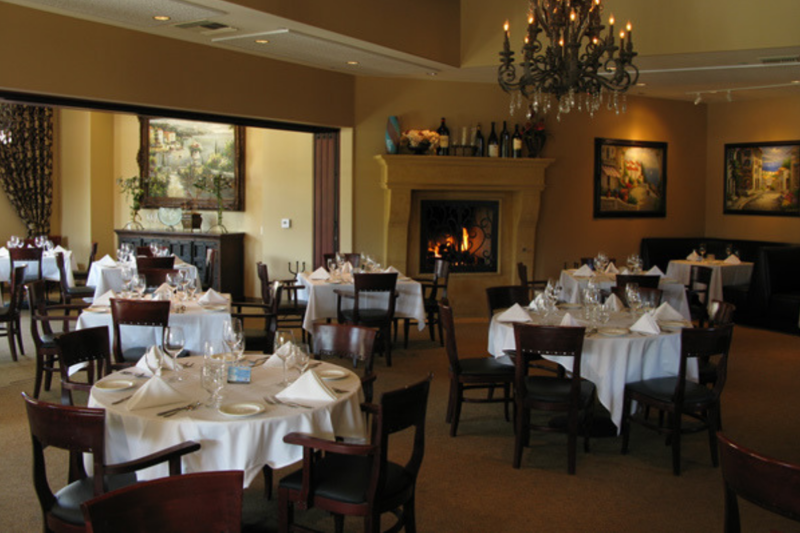 As the hostess, Connie ensures each and every guest receives impeccable service. 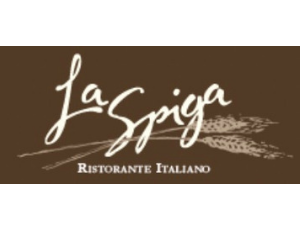 La Spiga also has a small, quaint bar with a fireplace, where you can enjoy cocktails, appetizers, or order from the full menu. 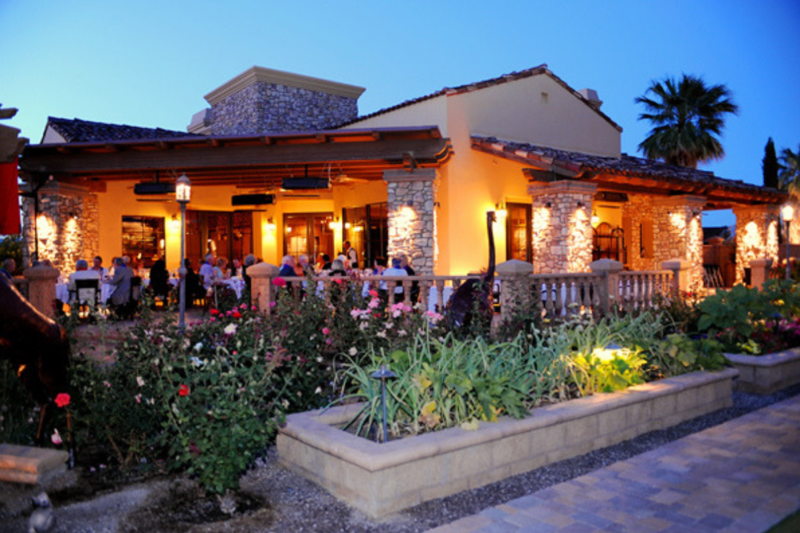 We offer complimentary valet parking or plenty of self-parking. 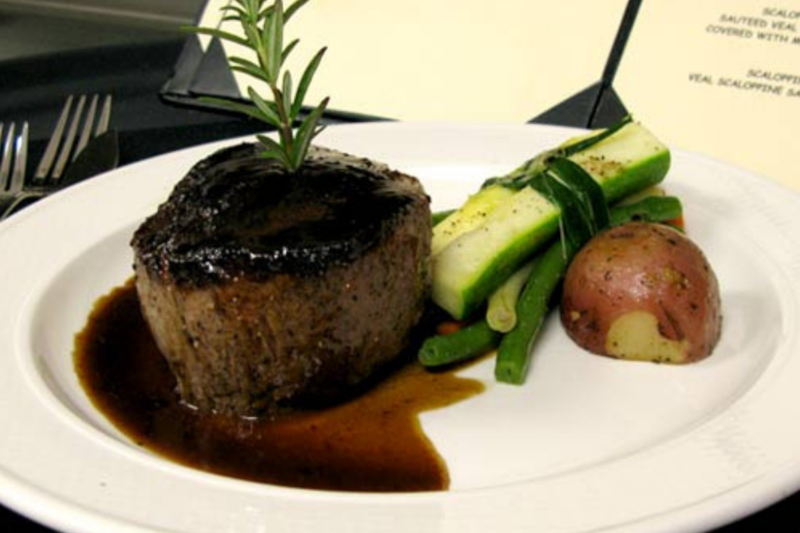 Gift Certificates in any denomination are available for purchase during business hours. 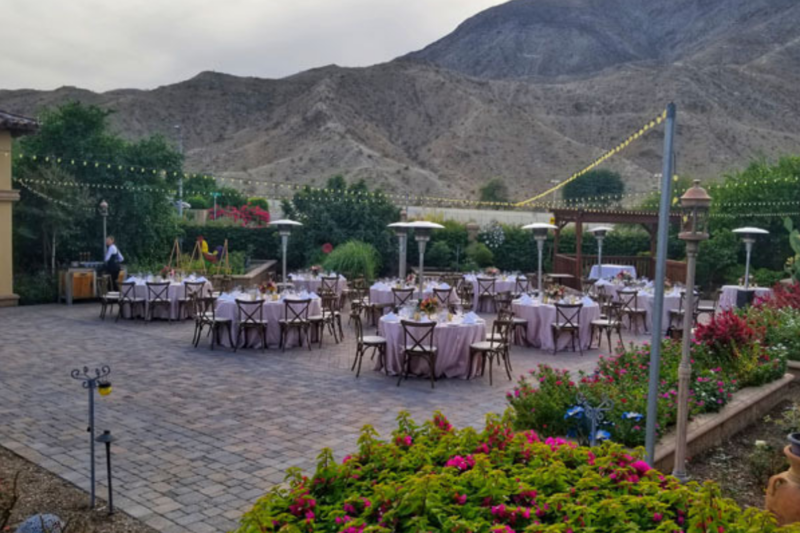 We have over 15,000 feet of gardens including a large rose garden, vegetable and herb beds, and a wide variety of trees including peach, plum, persimmon, pomegranate, olive, orange, lemon, lime, and fig. 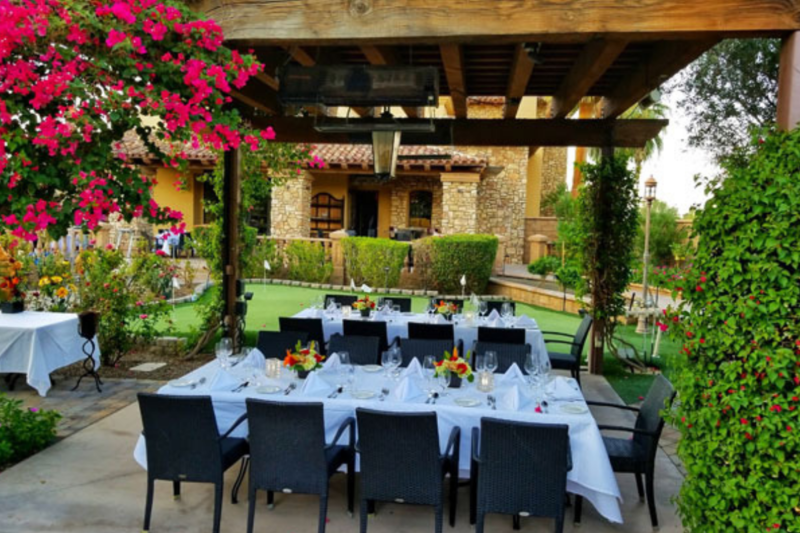 The gardens also feature two gazebos which are available for private parties, an outdoor wood burning pizza oven, and a putting green, all joined together by stone paths.